Seed preservation is one of the most important steps we can take to safeguard the future of our agriculture. Not only have seed banks become a serious endeavor of large corporations and federal entities, but for individual farmers and gardeners as well. Lets explore the best methods of seed preservation so that we can all ensure the future of our little seedlings. We’ve found one of the best method to preserve seeds is to learn what makes them sprout in the first place. Like all of us they need warmth, light, and food to become their best selves. 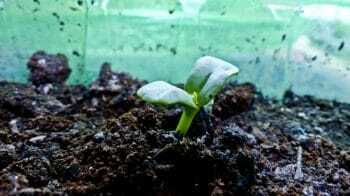 In particular, moisture and light turn a seed into a seedling, sapling, or otherwise. One popular method to sprout seeds is to wrap seeds in a moist napkin and place them where they can get some (but not too much) sunlight. The best way to delay this process is to deprive seeds of what they need to grow, without killing them. Seeds are similar to every egg that you ever cracked open. They contain exactly what they need for the life inside to flourish. The “yolk” is the vital nourishment packed into every small seed so that it will sustain itself on its journey to become whatever is inside. Delaying moisture is the first step to making sure the seed stays in its impregnable fortress. We often see plants growing towards light. They lean their slender shafts in the direction of the warmth that fuels their chlorophyll furnaces. Seeds however need moisture to get their little engines going. There are several methods of depriving seeds of moisture. My favorite method is to take the little silica gel packets that come in clothing items and shoe boxes and putting them in envelopes or Ziploc bags with the seeds. Some other methods I have used include wrapping the seed in a paper towel, and even a bit of old t-shirt. Without moisture the seeds cannot circulate the life within their slender shoots to be. Another key to preserving seeds is to hide them away from natural or synthetic growth lighting. There are a few ways to do this but none better than the refrigerator. Tightly pack the seeds away in a paper towel, toss in a few silica gel packets, and zip the seed away inside of a Ziploc in the back of a refrigerator. If you intend on keeping a seed for more than several years, opt for the freezer instead of the refrigerator. For shorter term (a short number of months or even a few years) preservation any dark space will do. Even an envelope with a small silica gel packet in it, placed in the bottom of a drawer or closet somewhere will preserve a seed for months on end. For less serious seed savings, such as those from a favorite legume you might find in your garden, seal them in an airtight jar and place them with a handful of rice inside. 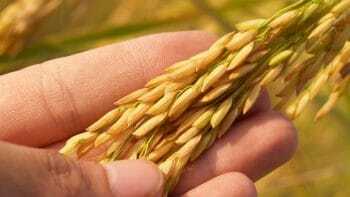 The rice steals away the moisture giving the seeds the opportunity to lay dormant but safe for some time. If purchasing silica gels have become too expensive, there are many alternatives, such as rice, that can take the place of it. Silica Gel itself can be purchased locally at a craft supply store and portioned out to increase savings. Non-dairy creamer is another alternative. Last but not least is the desiccant that has lasted the ages, salt. Salt has been used for centuries to keep moisture out of meats, vegetables, and other perishables. Simply sprinkle it over a handful of seeds to keep all the moisture out of the “seed bank”. Major seed banks such as the infamous Svalbard Global Seed Vault in the Arctic Circle take the same route when preserving seeds. Although the technology has obviously been taken to another level, the outcome is the same. The one difference, is that major seed banks go the extra step to take all of the air out of the container. I found this much more difficult to replicate at home since I don’t normally go around sucking the air out of packages. After some thorough searching we found two cheap alternatives to expensive vacuum technology. Small restaurants employ a cooking technique called sous vide. Sous vide is the technique of putting food in an airtight package and then placing that package in temperature-controlled water (think a slow boil). More recently this technology has become available to individual consumers through late night infomercials and other out of the box producers. These machines come with cheap vacuum seal technology. For serious seed safety this is the best means for preserving their well-being. This is better even than silica gels or any other desiccants designed to take moisture out of the container. This was a series of fun experiments that we enjoyed. In the end, we vacuum sealed a small amount of some favorite seeds (chia, wild rice, pumpkin seeds, flax) with the sous vide method and placed them alongside some other things in a time capsule. Maybe we’ll never need them, but in case someone digs it up in the future and we are in a different world they’ll have just what they need to start growing their own little seedlings. When we buried the time capsule a few feet below the earth and covered it with dirt, it was only then that we realized we had planted a seed of our own. A seed that could one day feed the world.